Today’s Flash Back Friday comes from Episode 52, originally published in April 2012. 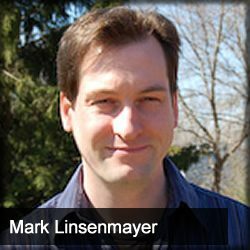 Further exploring why and how people podcast, Jason Hartman interviews philosopher Mark Linsenmayer about the origins of The Partially Examined Life, a free philosophy podcast hosted by Mark and two of his philosophical counterparts. At first, Mark was doing all of the editing of the tracks and combining them together, but as the podcast grew, he reached out to the other hosts and to his listening audience through the Cloud for assistance with editing, receiving a good response. Mark talks about the various software programs that he and the other hosts use, such as Audacity for recording and Cubase for combining tracks, and services they use, such as Libsyn for a server and tracking downloads. The podcast was featured on iTunes, which boosted downloads and reviews quickly. He’s got a band called New People, a big catalog of work with previous bands, and dabbles in fiction. When in grad school for philosophy, he mostly studied continental philosophy and philosophy of mind, with interests in phenomenology and explanations of consciousness. He more recently taught an ethics course for several semesters at Lakeland College.